When it comes to knitting for children, there are some items that have been along for longer than my own childhood and are still going strong. Take hats, for example. For a kid, it’s not enough that it covers the top of the head. If it covers the ears well, we are already getting somewhere. If it stays put with all the squirming and running and jumping the little people are so prone to, it’s a WINNER. At least in my universe. I can still remember a bonnet-like hat my Mum knit for me when I was a child (I have a strong suspicion that the one I remember is one of the many) – it was indeed practical, keeping toasty everything it should, and not getting of too easily :) Rewind years ahead, and here I sit, making a similar hat for my own son, a well-pronounced hat-hater, but he still has to wear them. It’s a vintage pattern, and versions of it are numerous, I’ve decided to share my take at it, may be other Mums will find it just as useful. And since there is a hat, there has to be a scarf. Or at least a neckwarmer. My Mum had it covered, too – she simply knit the hat on, creating a collar to cover the chest. But I wanted JUST A HAT and JUST A NECKWARMER, separately. Here I was stalled for a while, as I wanted to knit it top down, flare a bit but not be bulky on the shoulders. Finally, I managed to squeeze something out that even proved to be wearable! The neckwarmer pattern follows after the hat. 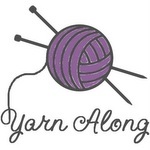 Word of warning: I’ve needed JUST a smidge over 2 balls, and, in fact, ran out of yarn, so consider having some similar weight yarn at hand unless you want to invest in one extra skein. The hat’s construction is extremely simple and very easy to adjust to any size possible – even for an adult! (at the end of the post I will share a simple formula for this kind of hat). The hat starts in a straight strip that goes around the head, ear to ear, and the back part is, basically, turning a heel of the sock, though without any wraps and picking them up later, so it’s a good beginner pattern. In the end two… ehem… fake I-cords are added to tie under the chin. The skills you have to possess are knitting and purling, and picking up stitches – there’s a little bit of it at the end. And that’s all! My hat was designed to fit my 1,5 year old son, with a head circumference of 49 cm (I have no idea, if it’s a typical size or he’s a bit ahead, no pun intended), this should be a good reference, anyway. Directions: With the smaller needles, CO 94 st.
RS: *k2, p2* , repeat between ** until 2 st remain, k2. WS: *p2, k2* , repeat between ** until 2 st remain, p2. Repeat these 2 rows until your work measures 3 cm, ending on the WS row. Next row, RS: change to the bigger needles, knit all stitches. Continue in stockinet stitch, until the strip measures 13 cm. P 31 st, PM, p 31 st, PM, p 29 st, k2tog, p the last st – 93 st. Now you have three equal sections. What you are going to do next, is to knit the last stitch of the central section together with the first stitch of one of the side sections – decreases are done both on RS and WS, alternating the sides. The main idea is that the central section keeps the initial 31 st, while the sides are being consumed. If you see that your central section is losing stitches, you are doing something wrong. I put the markers only for the first row, later on you will get a hole, or the stitches that have to be knit or purled together will be somewhat apart, which eliminates the need for a marker. But! The hole will disappear! RS: Knit across 65 st (1 st before the 2nd marker), remove the marker, knit the next 2 st together, TURN WORK. WS: Purl till one stitch before the remaining marker, remove marker, purl the next two stitches together, TURN WORK. These two rows are decrease rows, that you have to repeat until you have only the central 31 stitches. You will see the back of the hat now, shaped, indeed, like the heel of the sock. Now, put the live stitches on a holder and break the yarn. With smaller needles and the RS facing you, join a new yarn, pick up and knit 22 st, on the live stitches work like this: P2tog, P2, *K2, P2*, repeat between ** until the end of the live stitches, pick up and knit 22 st.
WS: *p2, k2* until the last 2 st, p2. Repeat these 2 rows, until work measures 2,5 cm. CO, apart the last 6 st – they will become the fake I-cord.The reason I resigned to faking an I-cord is that I failed in my precious attempt to make one, and wanted to finish this hat sooner than later. If you are good at I-cord, please, make a real one. I just give instructions for what I did in case I’m not the only one :) Work in stockinet on these 6 st, turning the work as usual, until the strip measures about 46 cm. Next RS row: kn2tog across, turn work, k 3 remaining st together. On the opposite edge of the hat, pick up and knit 6 stitches and make another strip. Sew in the ends, wash and block. And now go and try to put it on the most adored head in the world of your own! As I’ve promised, here is a formula for this bonnet: you have to measure the recipient’s head from one side of the jaw to another, around the head, that is, not in the usual direction you would measure for a classical hat (is that clear enough? I simply don’t know how else to explain it!). This is the length of the beginning strip. It is usually about 12 cm-14 cm. Here you can measure too: it should be able to cover the part of the head from the brow up to the point it starts to… slope.Then divide your stitches in 3 and proceed according to the pattern. As you see, as long you can get the measures, you can knit such a hat in any size you want! The neckwarmer is knit in the round first, and then split into 2 pieces that are finished separately, with some increases providing a slight flaring. Due to its seamless construction, it’s reversible. CO 78 st, join, being careful not to twist stitches, and put a marker for the beginning of the round. K1, p1 across, until the collar measures 11 cm. On the split row, I’ve tweaked a bit to get clean edges on both halves: I’ve started on the purl st instead, making it into an edge st. So, p1, k1, p2 across 57 st, finishing with p2, k2. Work in pattern as established, until the piece measures about 20 cm from the CO edge. BO loosely. Finish the other half in the same way, with the only difference that you have 60 st there. Weave in ends, wash and block. Done! If something is unclear or if you find mistakes, I will be happy to help/correct! I really hope I’ve made everything clear enough, but it was kinda tricky to try to explain something after having knitted it! Ravelry links to the hat and neckwarmer (there you can also see some modelled pics).